21977LF is rated 2.8 out of 5 by 4. Rated 5 out of 5 by Briango from Exactly what I was looking for I bought this a few weeks ago because I wanted to update the kitchen faucet because the old one was worn out and wasn't sitting right anymore. I am very impressed with the ease of installation, it was harder to get the old faucet out than this one in. 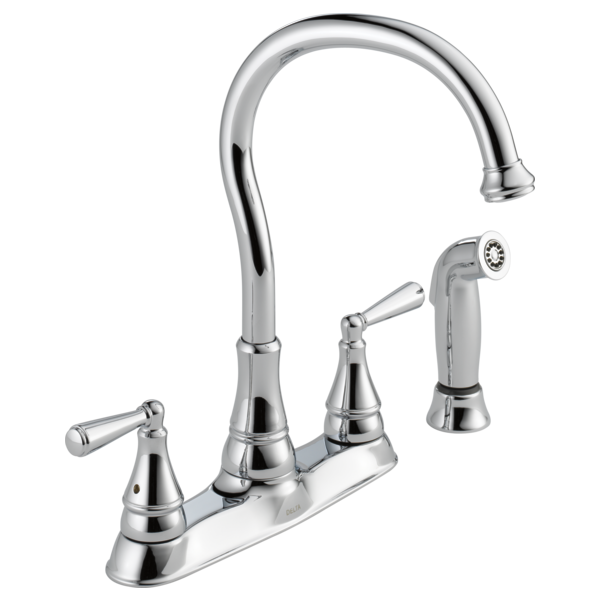 Rated 2 out of 5 by Greg Scher from Great Faucets and Spigot Design -- Lousy Sprayer My wife and I absolutely love the Delta faucet and spigot. Unfortunately, the sprayer nozzle is cheap and I have had to replace it several times in 3-years with a knockoff (but better made) replacement from Home Depot. This faucet leaks from the spray hose assembly and both hot and cold handles. so what replacement parts are need? Just installed this faucet and the 360 rotation is nice, but it seems like the faucet turns way too easily. Are we missing a gasket or something?